This is my first tattoo. It was done by Miguel from Excluzif in Laval Quebec. That is fantastic! 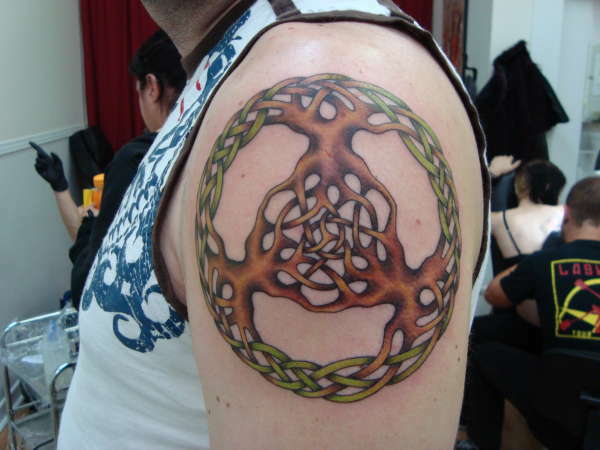 Love the design - as I'm sure you know the trinity is common in Celtic designs - and the work is excellent too. 10 from me!